Jack Bauer isn’t finished yet. Deadline reports Kiefer Sutherland could appear on FOX’s upcoming 24 spin-off, 24: Legacy. The new series follows Eric Carter (Corey Hawkins), a soldier who comes back from the Middle East only to find himself preventing a terrorist attack on U.S. soil. The cast also includes Miranda Otto and Jimmy Smits. Even though Sutherland said earlier that he wouldn’t be in the new series, he is executive producing 24: Legacy. And according to fellow executive producer Howard Gordon, there is a possibility that Bauer might pop up as a guest star in the future. 24: Legacy premieres on February 5th, 2017 on FOX. What do you think? 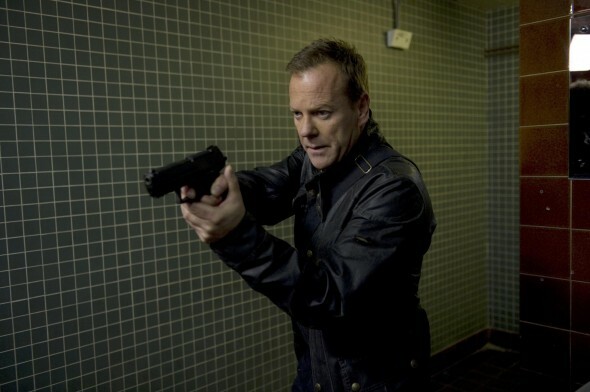 Are you a fan of the original 24 series? Would you like to see Sutherland on 24: Legacy? More about: 24, 24: canceled or renewed?, 24: Legacy, 24: Legacy: canceled or renewed?, FOX TV shows: canceled or renewed? Really hope Jack Bauer shows up for 24: Legacy but it’s going to be a disappointment if he doesn’t appear.